In 2019 we are offering optional pre-conference and post-conference excursions that all provide an inside look into the Juneau adventure or food scenes at a discounted price. We consider these outstanding opportunities to enhance your conference experience. Registration for the excursions is open with booking links below. All excursions are open to attendees and significant others (even if not registered for the conference). Please note if you must cancel your spot, your conference registration fee and excursion fee are 50% refundable through May 20, 2019 and not refundable after that. Thursday’s Pre-Conference Excursions focus on the local food and drink. Named as one of the top 10 food tours in North America by USA Today, Juneau Food Tours focuses on sharing the Alaskan story through its food and history. Owner, Midgi Moore, is a food blogger/writer and regular attendee of IFBC. The Tour with Taste showcases why Alaska’s tasty capital city is rapidly becoming a dining destination. Guests will enjoy the best in Alaskan fare as well as learn about the importance of wild Alaska seafood. Featuring six locations, the menu includes king crab bisque, salmon, Alaska game, and the famous hog wing. We also include a cider, beer and wine tasting. This tour has been specially curated for IFBC attendees to allow for photos and chatting with owners/chefs. Minimum age 14 and eating restrictions cannot easily be accommodated. There’s nothing more spectacular than majestic glacier views – except, of course, when you pair those views with local brews and wild Alaskan seafood and take a helicopter to get there. Join Alaskan Brewing Company on a helicopter trip up to the Mendenhall Glacier to experience a true taste of Alaska. Throughout their 30 years of brewing in Alaska, they’ve learned that some of the best pairings for beer can be found in their backyard – the Inside Passage. This tasting pairs the best of Alaska’s oceans – fresh oysters, smoked black cod, and salmon caviar – with a specially curated selection of beers featuring complementary and contrasting flavors. 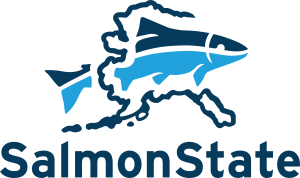 Come talk seafood, sustainability, and beer with Alaska’s oldest brewery while soaking up some of Alaska’s most inspiring scenery – brilliant blue glacier ice, jagged crevasses, awe-inspiring ice falls, and the rugged peaks of the Mendenhall Towers – all from one of the best viewing platforms around, a helicopter. “We brew the way we brew because of where we brew.” The Alaskan Brewing Company has been brewing craft beers since 1986 and winning plenty of awards along the way. This excursion will offer a guided tasting and a glimpse into the brewing processes, including the company’s original 10-barrel brewing system. Come meet the people behind the beer while enjoying tastings of limited edition or rough draft brews plus a sampling of good eats. On Sunday we are offering an outstanding excursion featuring Juneau’s incredible natural attractions. Meet Juneau’s largest local residents – the humpback whales! Once aboard your coach, your driver guide narrates as you’re transferred to the harbor to board a custom-made whale watching boat. Experience two hours of guaranteed whale spotting and other possible wildlife. On our quest for whales, we will be on the lookout for bald eagles, seals, sea lions, black bear and more of Alaska’s wildlife. The star of the tour is the humpback whale, but we are always looking out for the playful orcas. Once we spot a whale, the captain will slow down and allow you to go on the spacious viewing decks for a great photo opportunity. After the tour, we’ll head to Tracy’s King Crab Shack where owner Tracy LaBarge will serve her famous “Combo #1” which includes King Crab Leg, crab bisque, and crab cakes. Transportation to and from Douglas Harbor will be provided. 12:00pm – Leave downtown Juneau and drive to Douglas Harbor. 12:30pm – Depart Douglas Harbor and head south to Taku Inlet; enjoy Alaska-made snacks and refreshments along the way. 1:00pm – Arrive at commercial fishing grounds, watch fishermen in action (and perhaps whales and other wildlife as well!). 2:00pm – Pull ashore for Taku Salmon picnic lunch on remote beach. 3:30pm – Return to Douglas Harbor, drive back to downtown Juneau. Enjoy the splendor of Alaska. Seaplane only access to Alaska’s famous Taku Glacier Lodge combines classic powerful aircraft, true wilderness, 5-massive glaciers, bears, vivid history with dog sledding roots, seafood and exclusive glacier view dining! Includes 25 minutes of Glacier Flightseeing in route to the Taku Lodge, 2 full hours on the Taku Lodge grounds, and a 15-minute return flight past the glaciers to the downtown Juneau waterfront. Note: Available to any IFBC19 attendee and their family members for the length of their visit! Whether you’re an independent traveler, a local, or are visiting Juneau on an Alaska cruise ship shore excursion, you’re guaranteed to have the time of your life on our sport fishing trips. The waters around Juneau are full of halibut, salmon, and other fish for you to catch, and our captains take you to the best fishing spots in the area. Bring the whole family on a fishing adventure and enjoy the majestic Alaskan views from the water.